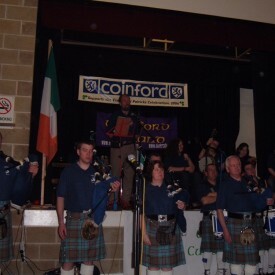 Photos and images from the 2006 Crawley Celtic Weave concert sponsored by Coinford Construction and organised by the Celtic and Irish Cultural Society. New Ross and District Pipe Band with Dunbrody Folk Group presented this unique concert for the people of Crawley. The 2006 Crawley Irishperson of the Year was announced by Zita Scott-Martin and David Nolan at the dinnner dane. Gabe Doonan was announced as this year’s winner for showing continued commitment to the community and always making himself available when asked. His assistance is greatly appreciated. 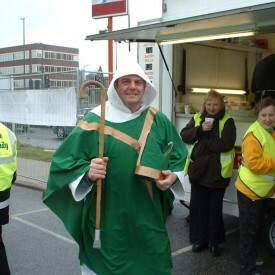 Photos and images from the 2005 Crawley Irish Festival, organised by the Celtic and Irish Cultural Society and sponsored by Foundation Developments Limited, Cappagh Group, Accurate Construction, Coinford Construction, McCabe Group, Nugent Group and Tourism Ireland. 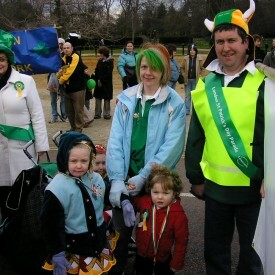 Photos and images from the 2005 Saint Patrick’s Parade, organised by the Celtic and Irish Cultural Society as part of the 2nd Annual Saint Patrick’s Weekend. Groups from throughout the area took part in the event. The parade was sponsored by Coinford Construction and Cappagh Group. Photos and images from the 2005 Wake’n of Saint Patrick concert, organised by the Celtic and Irish Cultural Society as part of the 2nd Annual Saint Patrick’s Weekend. The concert, which featured live music, story, song and Irish dance was sponsored by Coinford Construction. 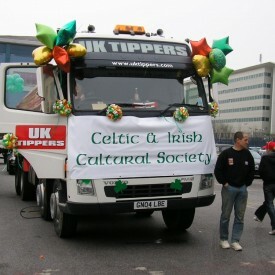 The Celtic and Irish Cultural Society were asked to lead the 2005 London Parade. We accepted, but forgot to take many pictures. A limited selection of photos and images from the Crawley Irish Dinner Dance 2005. Lenny Nugent was awarded the Crawley Irishperson of the Year award for his long-term support of the Crawley Irish Festival. Meanwhile, charity money was also awarded to our local charity benefactors. Photos and images from the 9th annual Crawley Irish Festival. 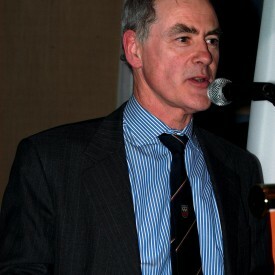 The annual event was organised by the Celtic and Irish Cultural Society. The event featured music, sport and dance and was sponsored by Accurate Construction, Coinford Construction, Boss Services and LF Nugent Group. 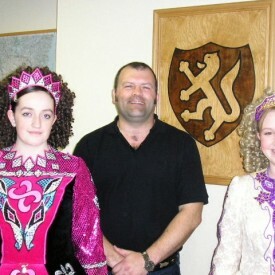 Photos and images from the 2004 Fleadh Week Irish dance demonstartions. 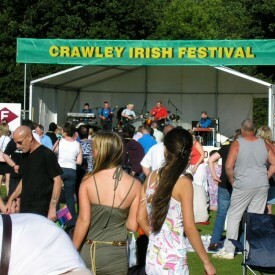 The Fleadh Week culminated at the 2004 Crawley Irish Festival and included comedy, history and literature workshops. 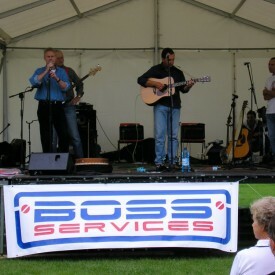 The Fleadh was sponsored by Accurate Construction, Coinford Construction/Boss Services and LF Nugent Group.